Aug. 7, 2017 - Scenario: You’re a state natural resource manager for a coastal salt marsh and just got a call that a tanker spilled thousands of gallons of crude oil that is now heading for your shores. You have maybe two hours before the oil starts washing up on your coast. How do you determine what animals may be in jeopardy? How do you prepare a response plan to protect those species? Anticipating the information state and federal staff need when responding to an oil spill or other environmental hazard is what we do. In addition to providing scientific support, we’ve developed guides and databases for resource and response managers to use in those early, sometimes chaotic, hours of an incident. One of the tools we’ve developed is our Environmental Sensitivity Index maps. The maps and data show where species are found, along with information about monthly seasonality, breeding and life stages occurring, concentrations, and qualifiers that indicate why a species occurrence may have increased vulnerabilities. There are many individuals concentrated in a small area, such as a seal haulout area or a bay where waterfowl concentrate during migration. Early life stages such as seabird rookeries, spawning beds used by anadromous fish, or turtle nesting beaches are present. Oil affects areas important to specific life stages such as foraging or over-wintering sites, or migration routes. 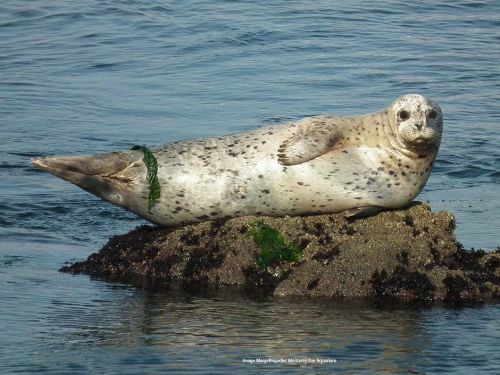 Harbor seals are one of the many species cataloged in our Environmental Sensitivity Index. Image credit: Marge Brigadier, NOAA Monterey Bay Aquarium. What information is in an Environmental Sensitivity Index? In addition to information on wildlife resources along the nation’s coastlines, the indexes provide detailed information on shorelines and on how people use the natural resources present. Our Environmental Sensitivity Index maps categorize and display environmental hazard sensitive animals and their habitats, and habitats that are themselves sensitive to spilled oil, such as coral reefs. This map shows part of the Maine coast. Image credit: NOAA. The Environmental Sensitivity Index biology information is a compilation of existing data and regional knowledge. A list of all threatened or endangered species in the area is amended with other regional species that are of local concern, or are particularly vulnerable to oil. Once an initial species list is created, the search for existing species distribution and seasonal information begins. This may come from state or local government, academics, non-profit organizations, or non-affiliated experts. A typical ESI atlas will have upwards of 100 contributing expert sources and documents. The ESI challenge is how best to compile and integrate this diverse data to create a product useful to responders who need to quickly assess an area of potential oil impact. As data is processed, the contributing experts are asked to review the species distribution and attributes to assure the data is presented accurately and as intended. Because there are often multiple sources for a single species, this is particularly important in order to assure the experts are comfortable with how their information will be presented. This is a collaborative process during which additional species may be identified and added to the species list, and additional resource experts are identified. Reviews continue through the finalization of the ESI data and tables. The Environmental Sensitivity Index data is designed to work within a geographic information system. 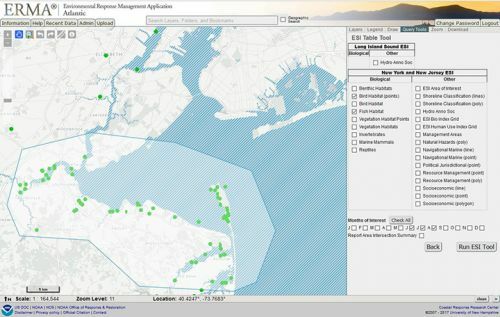 The data can also be accessed publicly through a variety of free tools including our ESI toolkit and many of our Environmental Resource Management Application, or ERMA. Making decisions during an environmental crisis sometimes requires difficult trade offs. 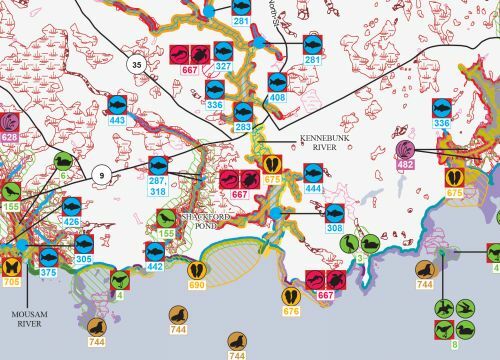 Having this valuable information ready beforehand helps spill planners and responders prioritize areas to protect from oil and identify appropriate cleanup strategies. Jill Petersen, ESI program manager, contributed to this article. Using the query tool in ERMA you can isolate a particular area by making a polygon and then choose which ESI data to display. Image credit: NOAA.